Gintota is a grim warning. The abyss is still with us. We remain a country where a private dispute can be interpreted as a religious issue and used to ignite a violent conflict. Gintota didn’t become an Aluthgama not because society has changed but because the government has. In Aluthgama, the Rajapaksas allowed the rioters free rein. 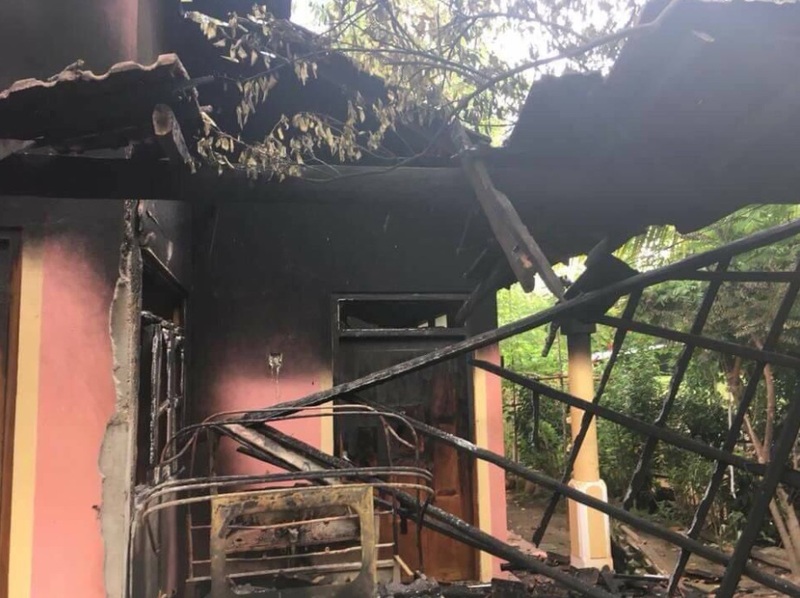 In Gintota, the Sirisena-Wickremesinghe administration intervened fast, and intervened decisively. The zero-tolerance approach worked. Mobs flourish only when the environment is enabling. The Sirisena-Wickremesinghe administration has violated most of the promises it made to a hopeful electorate. The recent unofficial banning of the website Lanka e news demonstrates that even its commitment to democracy and media freedom is equivocal. But it still stays above the extremist mire, still forbears to peddle “the stale bread of hatred and the spoiled meat of racism.”[i] This is a critical plus-point, as Gintota proved. 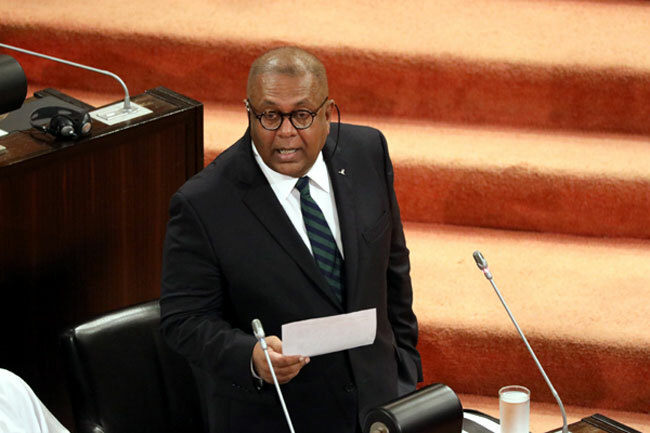 One of the most positive features of Minister Mangala Samaraweera’s Budget is its attempt to address the socio-economic preconditions of reconciliation. It makes substantial allocations to provide housing for those affected by the war, and for those living in line houses. Relief has been promised to those mired in debt in the North and the East (the tragic story of a badly indebted mother who poisoned her children and committed suicide is emblematic of the plight of the poor in war-torn areas). Drops in the bucket, perhaps, but they nevertheless constitute an important step forward in the right direction. Historian Timothy Garton Ash in his book Free World: America, Europe and the Surprising Future of the West mentions two ‘real weapons of mass destruction;’ one is incipient environmental catastrophe. This month more than 15,000 scientists from 184 countries issued a second letter to humankind (the first was in 1992), warning that “Soon it will be too late to shift course from our failing trajectory and time is running out.”[ii] Last week, the world caught a glimpse of that future when Delhi became enveloped in a toxic smog. 6,000 schools closed, construction work stopped and the United Airlines cancelled all its flights until the air turns ‘less lethal’. A desperate government is hastening to do what it should have done years ago: introduce cleaner, less toxic fuels[iii]. A few days later, Pakistani city of Lahore too became enmeshed in a similar poisonous mist, causing schools to close and flights to be cancelled. 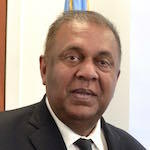 Mangala Samaraweera’s first budget is timely in this important sense. It is environmentally friendly, and unabashedly so. Environment protection is a public good, a goal from which all of us, including those who are opposed to such measures, will benefit. Environment disasters also have a disproportionate effect on the poor. In Delhi, the rich are protecting themselves with European air purifiers and face masks with inbuilt air-filters; for the city’s teeming poor, the only recourse against a smog (which can cause irreparable damage to heart, brain and lungs) is a piece of cloth. If Minister Samaraweera’s green policies are implemented, they might save Colombo from the fate of Delhi, Lahore and Beijing. During the long struggle for universal suffrage, the connection between political democracy, social liberalism and economic progressivism was considered axiomatic, by both friend and foe. One reason established elite (religious and civil), opposed universal suffrage was the well-grounded fear that a politically empowered majority would push policies that help the poor and the marginalised. And so it happened. In many countries, broadening of suffrage moved in tandem with a democratising economy and a secularising polity, ensuring basic rights for hitherto disempowered groups, especially workers, women and racial and religious minorities. Today political democracy has become divorced from progressive economics and progressive economics from social liberalism. Forgotten are seminal lessons of history: inclusive politics cannot survive without inclusive economics; a society which is non-discriminatory towards women and minorities is unsustainable sans economic justice; political justice, social justice and racial justice can be built only on the foundation of economic justice. A democratic polity and an open society need an economy that doesn’t marginalise large swathes of people. “…Inequality can undermine progress in health and education, cause investment reduction, political and economic instability and undercut the social consensus required to adjust in the face of shocks and thus it tends to reduce the pace and durability of growth,” warned a famous IMF study titled, Redistribution, Inequality and Growth[v]. Sri Lanka experienced its high levels of economic inequality in the mid 1980’s. The JVP manipulated the resulting discontent to push its anti-Tamil, anti-devolution insurgency. The massive income disparity lessened during the Premadasa years, but his efforts to create a more balanced economy were abandoned after his assassination. The gap between the rich and poor started widening again. By 2013, we had the dubious distinction having the highest increase in income inequality in Asia, after China. “This trend can undermine economic sustainability and threaten social cohesion,” the ILO warned[vi]. A main reason for this was the grotesque imbalance between direct and indirect taxes, a ratio of 20:80. Such heavy reliance on indirect taxes “shifts the burden of taxation onto the poor,” the UNDP warned[vii] the Rajapaksas. “As long as the revenue from direct taxation remains low, this ratio will prevail and this in turn means that the bulk of the burden of indirect taxation will be felt by the poor people.” Dr. Saman Kelegama, the then head of the Institute of Policy Studies, pointed out. [viii] The ideal ratio of direct to indirect taxes would be 40:60, he maintained. The Rajapaksas ignored the warnings (including a very perceptive one from Minister DEW Gunasekara). The 2013 budget gave a 300% tax break to super racing cars. The 2014 budget gave tax breaks to designer goods. Both budgets increased existing taxes or imposed new ones on essentials including wheat flower, vegetables, fruits, mosquito coils, gauze, cement and sprats. VAT exemptions on paddy, rice, wheat, some spices, rubber, coconut, tea, rice flour, eggs, milk, tractors, machinery and some pharmaceutical preparations were removed. The result was a scissors-crisis in living conditions, caused by falling real incomes on one hand rising prices on the other. According to the Department of Census and Statistics, 53% of the urban population, 73% of the rural population and 81% of the estate population did not receive the minimum income necessary to pay for food and other basic needs[ix]. The CPA’s 2014 opinion survey[x] revealed that. 42.7% of Lankans (and 43.1% of Sinhalese) had to cut back on the quantity/quality of the food they purchased. The Rajapaksas strategy was to deflect and displace this economic discontent with the game of patriots and traitors. Fortunately in 2015 a majority of Lankans opted for hope over fear. By clinging to Rajapaksa economics, the Sirisena-Wickremesinghe administration is failing them. Minister Samaraweera’s budget, for all its positive features, is, most seminally, a symbol of this failure, because it has failed, attitudinally and actually, to move away from the path of extractive taxation. His budget, progressive and forward thinking in many ways, continues to maintain the highly punitive 20:80 ratio between direct and indirect taxes. Ray Dalio, billionaire founder of Bridgewater Associates, recently made a comment which should be memorised by every democratic politician. “We talk of the economy. Recognize that you can’t talk about the economy. There are two economies. If you look at the economy of the bottom 60%, it is a miserable economy…. so we have two parallel existences.”[xi] In Sri Lanka, the gap between these parallel economies and parallel existences are growing fast, not least because of environmental factors. According to official sources, close to 2 million Lankans are severely affected by the crippling droughts. Poverty and indebtedness are growing in tandem with failing harvests; hunger school dropout rates and internal migration are on the rise. Measured against this reality, spending billions on new expressways seems unimaginably unrealistic and unforgivably self-defeating. It is the kind of tone-deaf inanity the Rajapaksas excelled at, which should have been laid to rest with their ouster. If the labour reforms envisaged in the Budget include such insanities as lengthening the working day, massive strikes/demonstrations will ensue. Faced with the wrath of the workers, what would the government do? Create another Roshain Chanaka (the FTZ worker gunned-down while demonstrating against the Rajapaksa pension plan) and, in doing so, inflict on itself a mortal political wound and gift the Rajapaksas with a game-changing level of re-legitimisation? In a democracy, priests of whatever religion have the same rights as all other citizen. They can express their opinions and fight for them, just like the rest of us. But they cannot have and cannot demand a veto power over policies and programmes. In Sri Lanka, prominent Buddhist monks don’t want a new constitution; the Catholic Cardinal is opposed to a secular state and abortion even when the mother’s life is in danger; hardline Muslim clerics wants the continuation of child marriage. They all act as if Sri Lanka is a hieratic state. And the government is succumbing to the haughty priests. The plan to reform the Muslim Marriage and Divorce Act (which enshrines extreme injustice and child abuse) has been abandoned (even though such reforms have been enacted by many Muslim-majority countries, especially the complete banning of child marriage). The possibility that the new constitution will meet the same fate cannot be ruled out. The government which came into office by advocating a narrative of equality and justice is allowing haughty priests to push itself in the opposite direction. It is letting down its core-constituencies, thereby endangering its own future. Nobel winning economist Joseph Stiglitz warned that a dual economy characterised by extreme levels of inequality will lead to two societies “living side by side but hardly knowing each other, hardly imagining what life is like for the other…”[xii] Sri Lanka is several societies, divided by income levels, by race and by religion, and even by gender and caste. Sirisena-Wickremesinghe administration had a historic opportunity to bridge these gaps, to foster ‘a sense of shared destiny’ by promoting ‘opportunity and fairness,’ not in interminable speeches but in actual deeds. But the government has squandered most of this opportunity. If it continues to practice Rajapaksa economics, to retreat in the face of arrogant demands by haughty priests, to appease rather than resist forces of retrogression and obscurantism, it will lost its raison d’ȇtre. Commenting on the meteoric rise of the xenophobic far right in France, historian Tony Judt warned that when the communities are destroyed by unjust economics, people start looking for “someone to blame and someone to follow.”[xiii] The failure of the moderate centre to understand the essential nexus between political democracy, social liberalism and progressive economics is strengthening racial extremism and religious fundamentalism across the globe. Democrats and liberals have conceded the space of popular economics to fascists. The rollback of basic political and social rights, the undermining of democracy itself, would be the price of that abandonment. In Sri Lanka, economic injustice and haughty priests will undermine democracy and facilitate the triumphant return of the sacred tyrant[xiv]. [xiv] The terms haughty priests and sacred tyrant is from Baron d’Holbach’s Christianity Unveiled. The root cause of the problem is that both the President and the Prime Minister of Sri Lanka do not have balls! They do have balls, but have shrunk due to the rapid Para evolutionary forces, and appear to have reached the size of an “Aba” seed. Have you heard about Black Holes? Thisaranee my dear Spot On as usual! But the prime reason for lack of foreign investment or FDI in lanka is Corruption, and not land and labour shortage. this is never mentioned in any of the policy documents which prescribe privatization as a solution to failing SOEs. This will be a disaster in the absence of transparency, accountability and fake valuations and environmental impact assessments. A Para of IQ 60 has the sane voting power as a Para with IQ of 140. The politicians may know something about this. Thanks for a well-written article on the core problem, and 80/20 taxation problem. Changing this to 60/40 or even 50/50, will certainly help, but the “rich” will scream bloody murder, and the current high level of corruption will increase. In any case, from where will the income and wealth creation come from? From will the productivity increase come from? From where will the innovation come from? Certainly not from the monks, priests and mullahs who want to maintain their hegemony. There’s only partial political will, and most of the will is towards maintain the status quo and maintaining the power. The silence of Tisaranee on the bond scandal, and the attempts by the UNP leader and his acolytes to suppress a proper investigation into it speaks volumes…. It has been three years since the previous regime was overthrown, how long will TS continue to blame all ills on it? Besides, during the previous regime, the current President was a senior minister, and the current PM was the leader of the opposition. Why did they do nothing to stop the previous regime for ten long years? Did they have pittu in their mouths that they could not speak? or were they innocent babes then who didn’t know what was going on?